This recipe is a real show stopper – if you have guests to impress or just fancy something a little special maybe on a Sunday. It’s a great vegetarian alternative for a Sunday Roast. 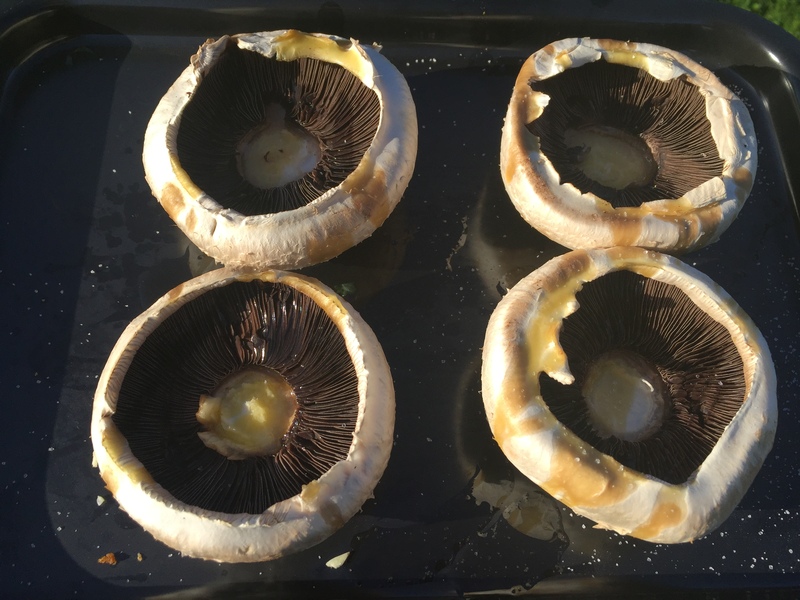 Take the stalks out of the Portobello mushrooms and keep to one side. 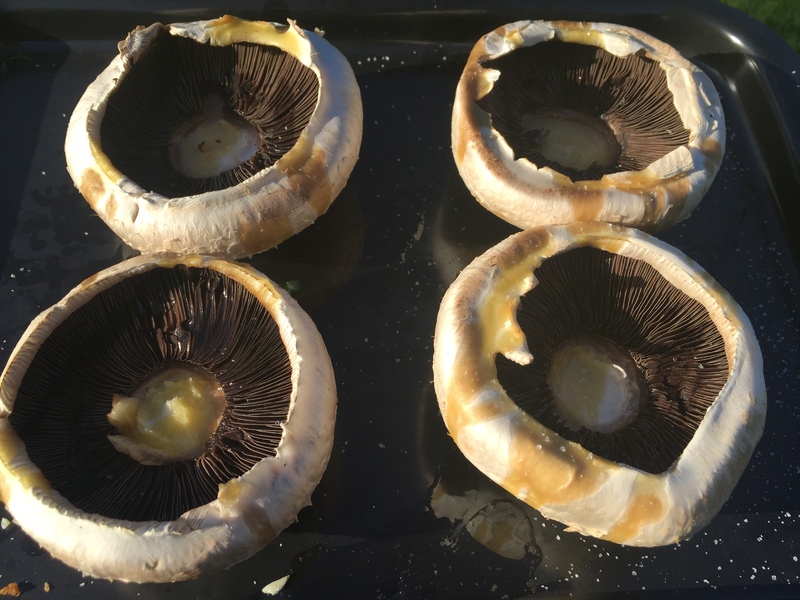 place the portobello mushrooms onto a baking sheet and tray brush with olive oil and sprinkle with a little sea salt. Place into the oven and roast for about 10- 15 mins until just cooked. When cooked keep on tray waiting for the filling. Add mushrooms, Covolo Nero and parsley to the pan with the onions and cook on medium heat stirring occasionally. Turn the heat down and add the cream stir in keeping the pan on simmer for about 5 mins. Work fast with the filo to avoid drying out. 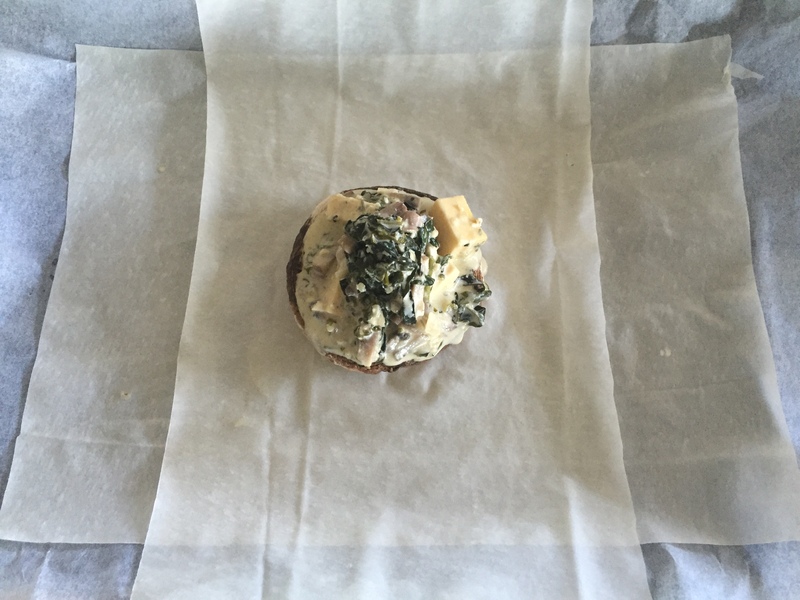 place one Portobello in the centre and then spoon in the filling (about 2 dessert spoons should do it). 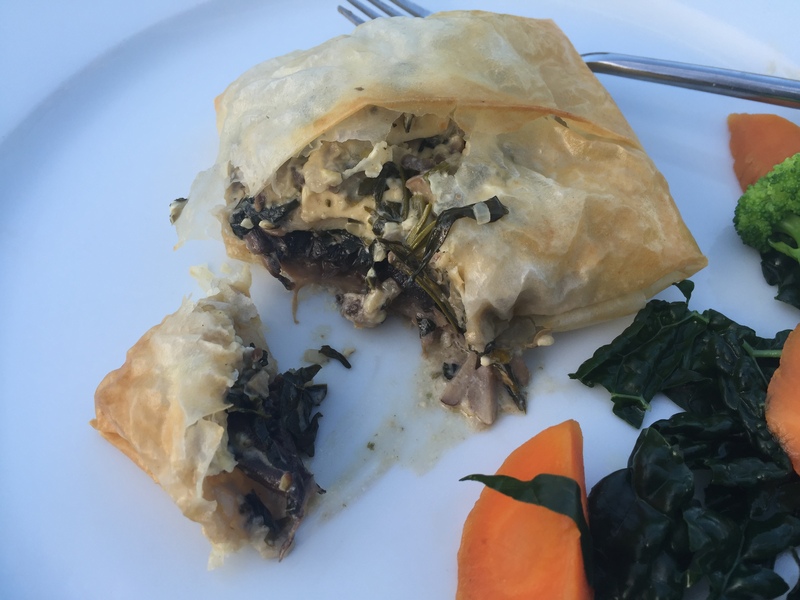 fold each strip into the centre covering the mushroom, forming a filo parcel tucking any excess under the mushroom. Then brush the top with a small amount of melted butter. 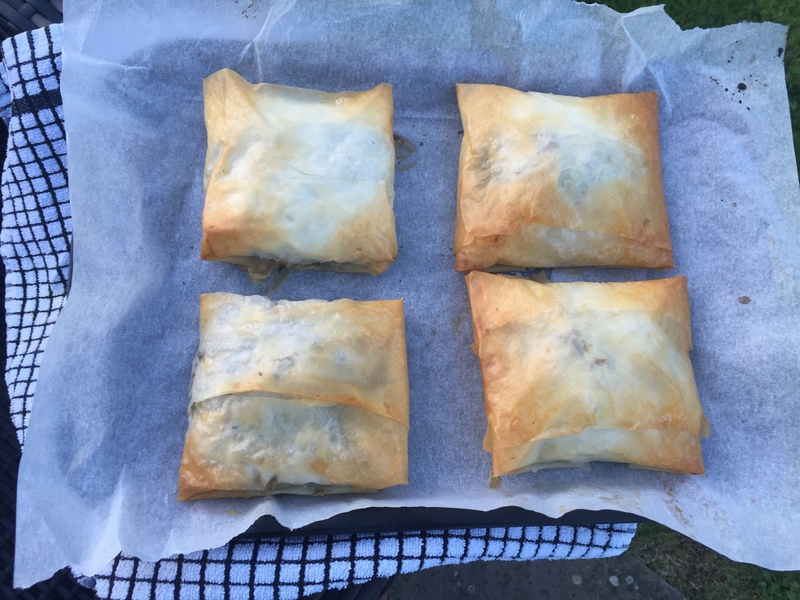 Bake in the oven for about 15 mins – until the filo is crisp and golden. Serve with vegetables or salad.